Lassie, a female Rough Collie, is ‘the world’s most famous dog’ and a fictional character who has starred in (or, more properly, in variations been the subject of) many radio shows, movies, TV shows, and books from 1938 through 2006. The character of Lassie was created by British-American author Eric Knight in Lassie Come-Home, published as a short story in the Saturday Evening Post in 1938 and as a novel in 1940. In Knight’s story, a young Yorkshire boy owns an exceptionally beautiful and loyal collie, but when the family faces severe economic hardship, the dog is sold to a wealthy nobleman. Both boy and dog grieve over the separation, made worse when the new owner transports Lassie hundreds of miles away to his estate in Scotland. However, the collie’s instinct and courage cause her to escape, and the book follows Lassie’s desperate efforts to return to the boy she loves. Lassie is a character loved by many around the world. In 1943 the book was made into what would become the first Lassie movie, also titled Lassie Come Home (no hyphen), which generally followed the plot of the book, and in which Roddy McDowall starred. Since then, there have been numerous sequels, television series and spin-offs. 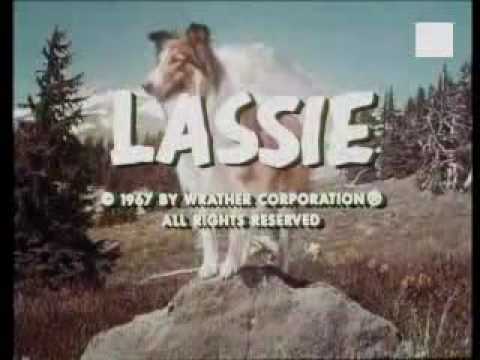 Other television series followed in the 60s, 70s, 80s, and 90s, made by various production companies, with varied casts and themes, making the Lassie concept as a television series one of the very longest running of any collective series so focused. However, in reality they were truly different series, which ran from only a few years to over a decade. There are very few other examples of a character persisting through various productions (perhaps in mythology, such as the Chinese Monkey, or popular legends such as Zorro). Lassie was so popular that it is one of only three dog characters, and one of very few fictional characters (another being Mickey Mouse) considered “stars” who were awarded a star on the Hollywood Walk of Fame, the others being Rin Tin Tin and Strongheart. On the 1954-1974 television series Lassie, she had a series of owners, the first two being Jeff (Tommy Rettig) (reruns of this era were later syndicated as Jeff’s Collie) and Timmy (Jon Provost). Both were farm boys frequently helped out of scrapes by their super-intelligent dog. June Lockhart, who had previously appeared in Son of Lassie, took over the role of Timmy’s mother from Cloris Leachman. Ranger Corey came later and, near the end of the series, Lassie struck out on her own, with no regular human master. when did lassie become famous?